When it comes to protein bars I'm very particular, as most of the time they're ladened with processed sugar, something I choose to limit my consumption of. 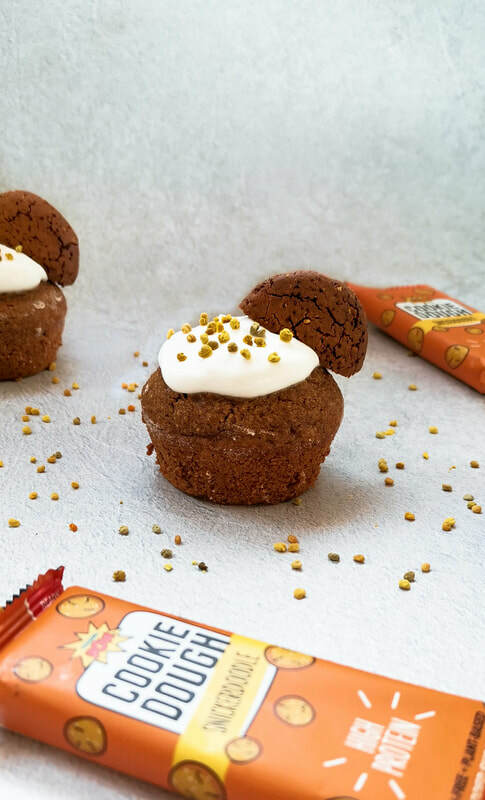 ​However recently I've found a protein bar that passes with flying colours and I'm so excited to be sharing some fun recipes ideas using their bars! 'Protein Pow' currently offers three bars in various forms of cookie dough, (yes cookie dough! )~ chocolate chip, snickerdoodle and fudge brownie. They're free from added sugar and artificial ingredients, making them a trusty snack to carry in your bag. ​As mentioned, the bars can be eaten as cookie dough or moulded into a cookie shape then baked into perfection.